Wesco Liftkar SAL Ergo Power Stair Climbing Hand Truck (300 lb. 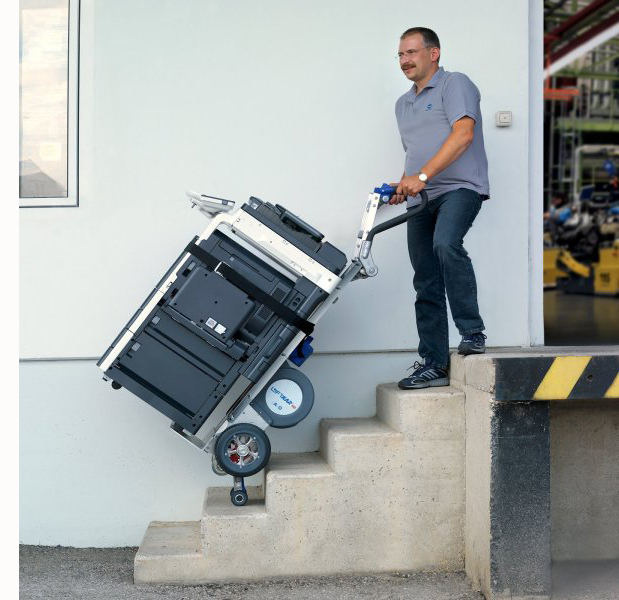 Capacity Flat Free Wheels) - Wesco 274156 is a dependable hand truck for any material handling that help to reduce worker fatigue and the risk of injury, as well as reduce the number of employees needed to deliver cargo. 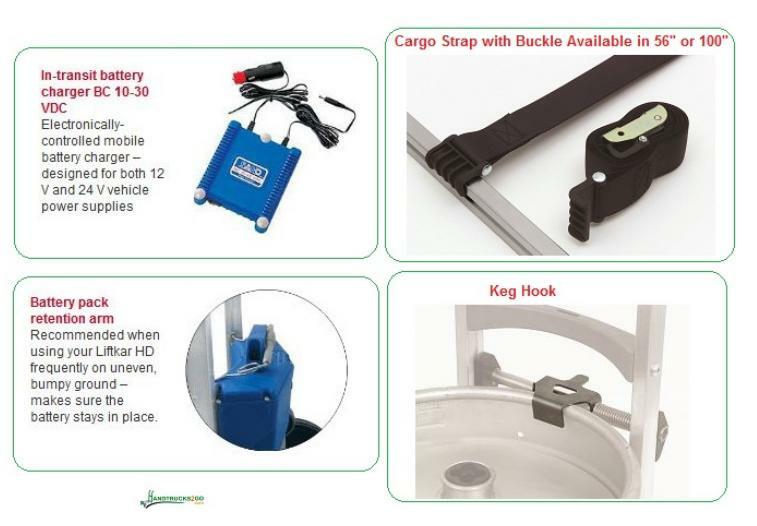 Innovative edge-of-step sensor activates the brake when the truck approaches the next step, providing excellent load control while preventing the truck from accidentally rolling down the steps. Load Capacity : 300 lb.